Superbly located in Cincinnati’s Blue Ash area, these new-build executive suites are available to lease. In addition to this development’s striking design, the onsite cyber café, parking and high tech equipment benefit clients. 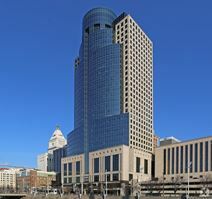 Downtown Cincinnati, shopping malls and restaurants are all within easy reach. Splendidly located in the vibrant and thriving commercial district of downtown Cincinnati’s main central business district, I-75, I-71 and I-471 link this prestigious business center installation to anywhere in the surrounding area for ultimate convenience and an easy commute for all tenants. Featuring an impressive assortment of fully equipped executive suites. All of the notable Cincinnati places are only moments away by foot. In the corporate heart of Cincinnati this prominent and locally renowned landmark office tower is the home to a 19th floor business center with great views of the surrounding district and the vast array of local services and amenities that the region offers prospective tenants. The flexible office space has stylish interiors and is close to a number of big names in finance and consumer goods, as well as a range of convenient transport links nearby. This contemporary executive office centre offers furnished offices, along with a range of business support services. The center benefits from a range of excellent local amenities, including eateries, banks and retail. Offering the most modern and technologically advanced equipment and technical facilities available anywhere in commercial region, these beautifully furnished executive suites and diverse workspace solution packages accompany luxurious conference rooms and training areas and represent ideal and highly professional working environments. Situated in the pre-eminent Blue Ash area, the airport, local transport links and a wide range of local amenities. Excellently situated just off I-71 with great transport links to the areas surrounding Cincinnati, these modern offices for rent are ideally located for easy access. These professional spaces come fully equipped, and offer free covered parking to clients. Tenants are also within minutes’ of some of Cincinnati’s best boutiques and restaurants. Technologically advanced, fully furnished and serviced to a high standard, these fantastic contemporary offices are wired with cutting edge technology and conference facilities. 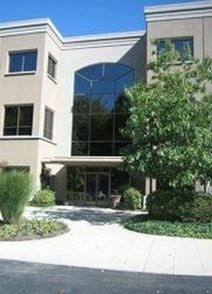 This business centre is easy to access from the greater Cincinnati area, located just off I-275. An impressive range of local amenities are within walking distance. Sleek and modern, clients can select from one or any combination of these cutting edge offices to lease. An incomparable service is offered, with high end equipment and onsite IT and secretarial support. Clients are located convenient to all of the vibrant downtown area with a large choice of restaurants, shopping, entertainment and more. Presenting Cincinnati’s finest Class A executive suites built with convenience in mind. Each office is tastefully furnished and clients get use of the fully equipped conference facilities. Easy access to and from the surrounding area.